If you’ve seen the Oscar-winning movie from Italy La Grande Bellezza, you’ve heard the remarkable soundtrack. It captures Rome’s sacred and profane traits as the city falls to ruin in a moral, religious, political and social degradation. You know you’re in for a rough ride into the fractured Italian psyche when your guide, Jep Gambardella, tells you he’s a sensitive writer, a frustrated aging cynic, looking for a muse. The soundtrack gets you through it beautifully. In an interview with film critic, Jean A. Gili, the director of La Grande Bellezza Paolo Sorrentino says, “… from the start, the idea came to me of using sacred music and Italian popular music.” Lele Marchitelli who is credited for the film’s music and whose work is featured in the film, knits together a stunning array of artists and compositions. The soundtrack features medieval sacred music “Beata Viscera” performed by Vox Clamantis and modern compositions like “Water From The Same Source” by chamber ensemble Rachel’s, and “The Beatitudes” by Vladimir Martynov. Tunes by Annie Lennox, Antonello Venditti, and the Studio Allstars with “We No Speak Americano” also make the cut. Pulitzer Prize winner David Lang’s choral piece “I Lie” opens the film as a tourist, overtaken by Rome’s beauty, dies of a heart attack on the Gianicolo Hill. The scene shifts to party-goers pulsating to the contagious rhythm of Far l’amore (To Make Love). 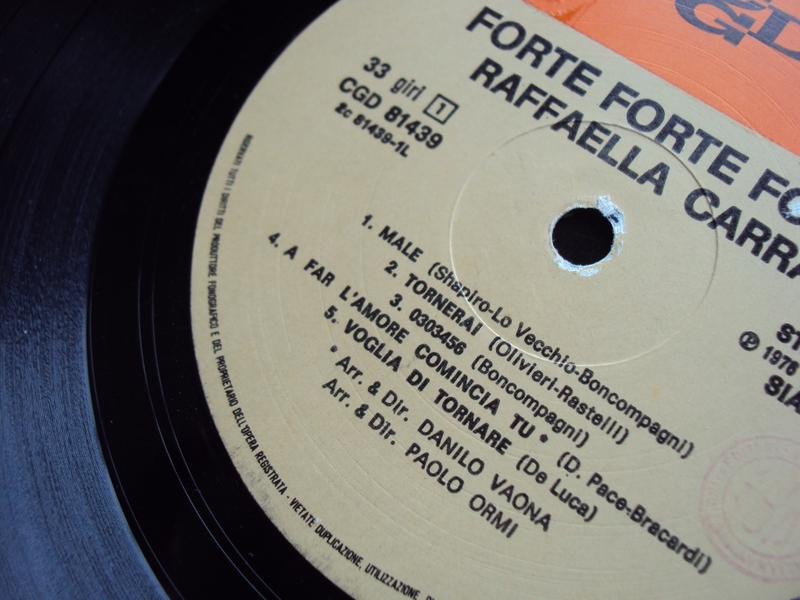 It’s a Bob Sinclar 2011 remix of Raffaella Carrà’s 1976 hit, A far l’amore comincia tu (You Start Making Love) from her album Forte Forte Forte. The song takes me back to the dog days of disco. 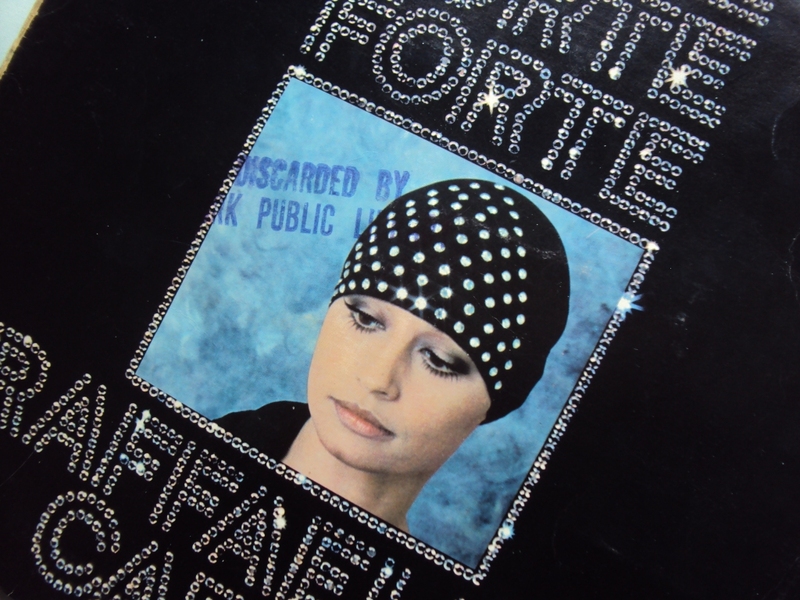 A friend who was into the gay club scene, heard Carrà’s music on the dance floor and gave me the hit album which she picked up in the sale bin at the York Main Library up on Eglinton and Northcliffe. 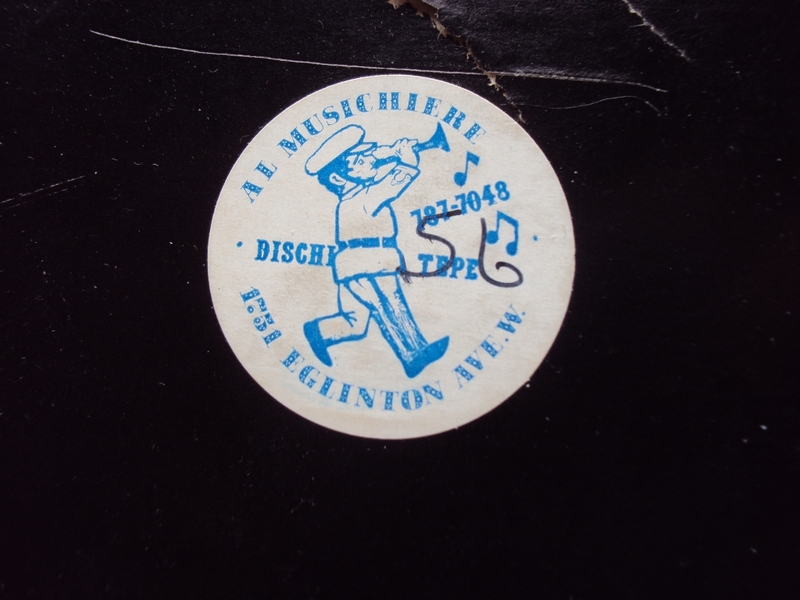 The album is a real find; it has a sticker on it from Al Musichiere, a record shop at Eglinton and Dufferin back in the day. Even with its catchy refrain “My Heart is Bursting, Bursting, Bursting” (Scoppia, scoppia, mi scoppia il cuor), the City of York Public Library discarded the album a couple of years after its release. The Italian queer community loved Carrà and she was also big in the Spanish-speaking world. Her music was a rare find in Toronto, except in Italian-Canadian homes and gay clubs like The Carriage House. Today, the 70-year old Carrà is a judge on The Voice of Italy and it’s her voice on electro-techno DJ Bob Sinclar’s remix. The official video of the remix, Far l’amore, was released in 2011, ahead of La Grande Bellezza, and it was a big summer hit in Italy. The video features Bob Sinclar in a taxi with Italian actress Caterina Murino. They’re going to a party for Sinclar at Gold, Dolce & Gabana’s real-life Milan restaurant. The duo has a cameo in the video. The cabdriver says that he’s new to the city and doesn’t know the way to Milan’s Piazza del Risogrimento. (Is it because he’s Oscar Farinetti, the Turin-based founder of Eataly? At the time, the CEO of the Italian slow food conglomerate had announced the opening of his Eataly Milan store. Its theme is dedicated to Music.) Not to worry, the cabbie reassures them, he’ll get them there. Of course, he doesn’t and a big argument follows.